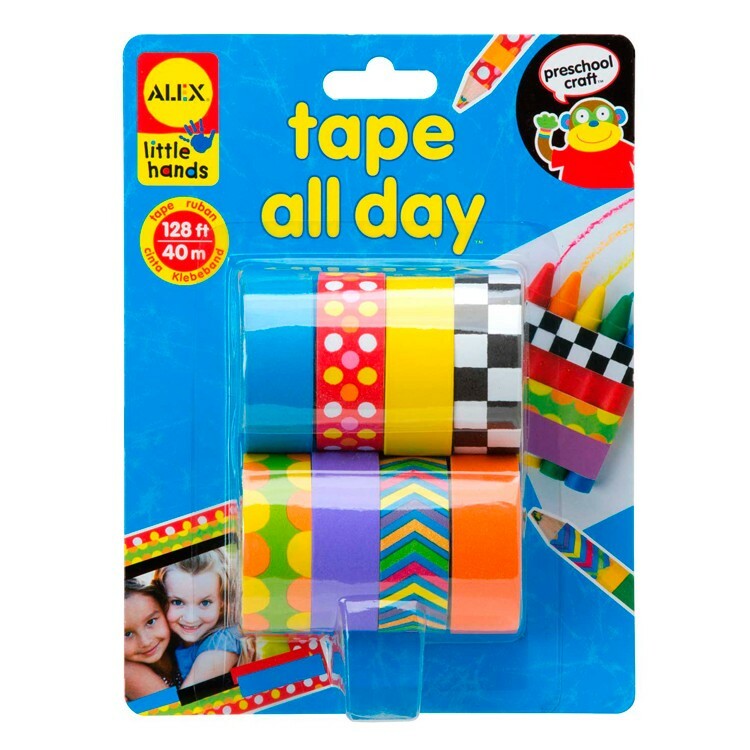 Embellish gifts and art projects with these tapes or make your own craft paper designs with the Tape All Day craft tape set. 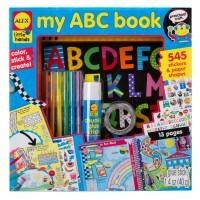 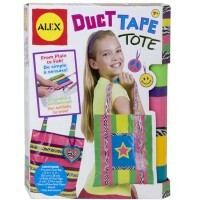 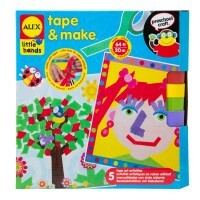 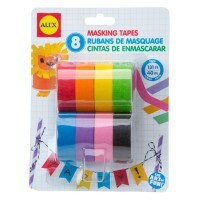 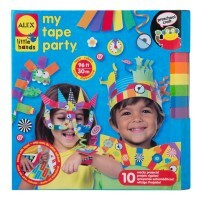 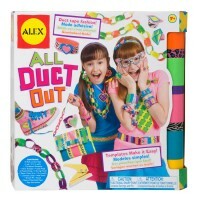 Tear, stick and create with tons of colorful craft tape from the Tape All Day 8 Sticker Craft Tape Set by Alex Toys. 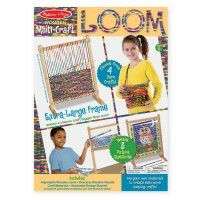 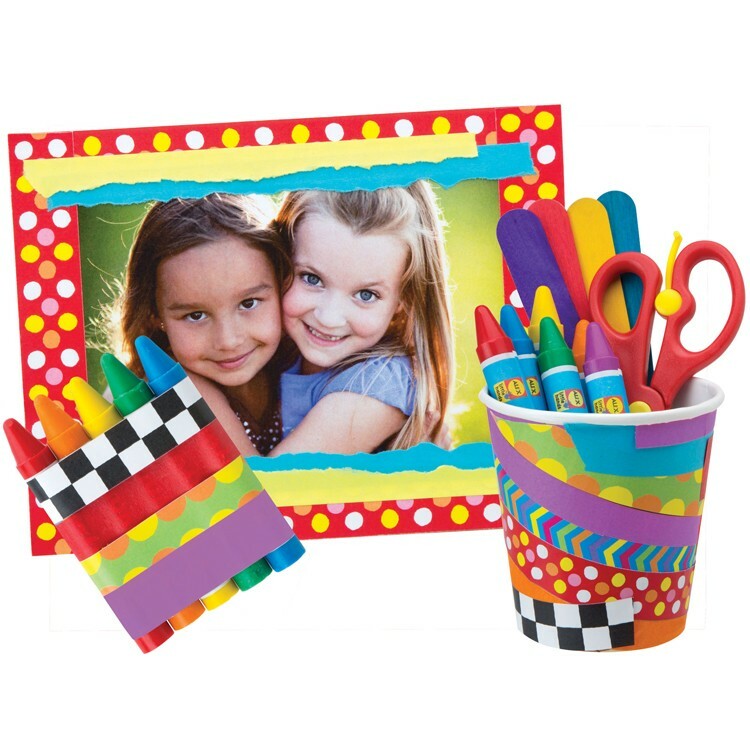 Embellish gifts and art projects with these tapes or make your own craft paper designs with this kids craft kit from Educational Toys Planet. 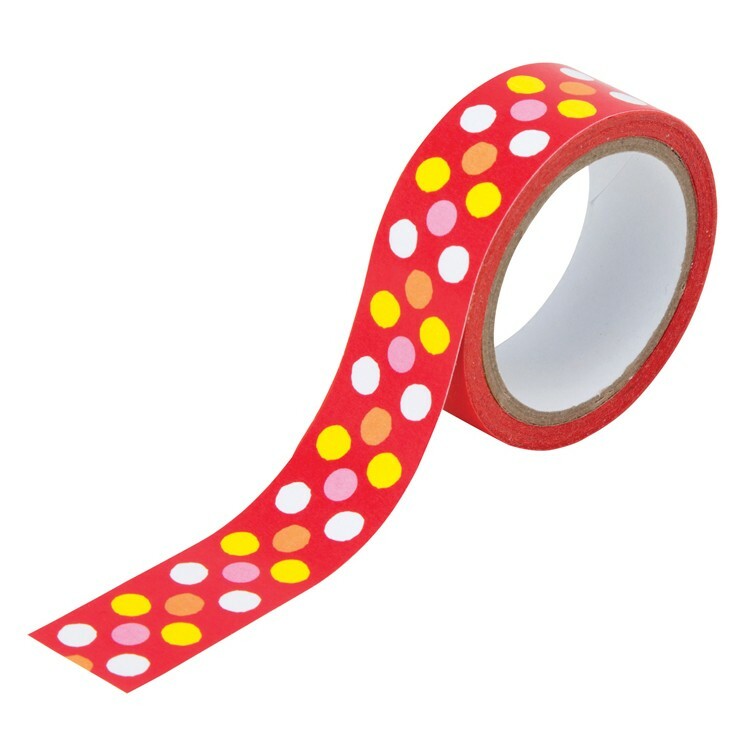 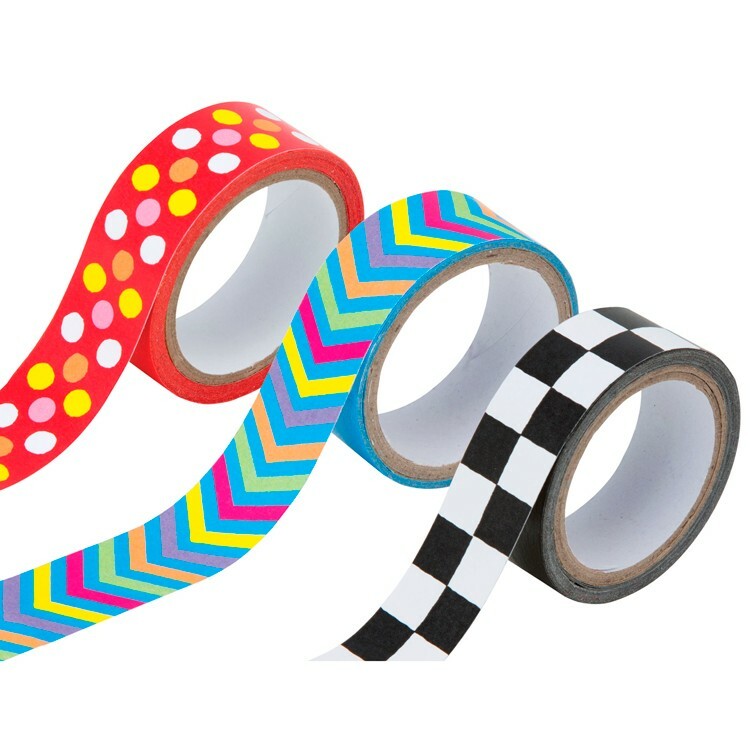 Decorate unique picture frames, birthday cards, or school supply box or anything you can imagine with this set of patterned sticky tape. The Tape All Day 8 Sticker Craft Tape Set contains 131 ft of tape in 8 colors and patters. 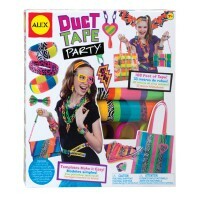 Dimensions of package 5.75" x 7.68" x 1.97"
Write your own review of Tape All Day 8 Sticker Craft Tape Set.